Is organic food helping your health? Posted by Angela Bailey on May 27, 2015 in Healthy Food, Organic Recipes | Comments Off on Is organic food helping your health? For most of us, the question is easy to answer: we want to eat organic food because it is better for our health and for the environment. The question is: do we really know why or whether this food better for us? In order to answer this question, you should take into consideration some facts. First of all, you need to fully understand what organic food is. Organic food is only made of natural and safe ingredients and must meet certain standards imposed by the Department of Agriculture (USDA). The grains are grown without any synthetic pesticides, artificial fertilization, irradiation or biotechnology. According to some studies, organic foods may have a higher nutritional value that conventional food. —-Why? In the absence of pesticides and fertilization, the plants increase their phytochemicals production (vitamins and antioxidants) and this process increases their resistance to insects. Some studies have linked the pesticides from conventional foods to headaches, cancer, and to the appearance of birth problems. Other experts claim that exact opposite. They say that the level of pesticides from conventional foods is not that high and that health is not endangered in any way. Organic foods don’t contain antibiotic traces. The contamination of meat and dairy products with pesticides doesn’t raise many problems but some scientists are concerned that farmers give their animals antibiotics. The vast majority of these antibiotics are also administered to people and because of that, a high dose can lead to a resistance to bacteria. This will lower their effectiveness in fighting infections. Farmers who bring organic foods to the market reduce the number of pollutants allowing the development of a fertile ground which makes the plant grow. 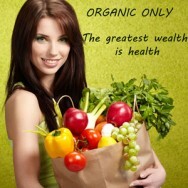 Why are organic foods recommended for our health? According to research conducted by British scientists, some organic foods including fruits, vegetables and milk may be more nutritious that non-organic ones. 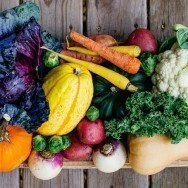 Tests have shown that organic fruits and vegetables contain up to 40% more antioxidants than the non-organic varieties. Major differences were also detected in milk: the organic varieties contain up to 60% more antioxidants and healthy fatty acids. Foods that contain many antioxidants are often promoted as being healthy because tests have shown that these compounds neutralize the activity of free radicals and prevent the aging process. Other tests revealed the fact that organic foods contain more vitamin C and possibly more iron and magnesium that non-organic ones. Another reason why you should eat organic products is because they contain less water that the conventional ones. Because of that, the body can receive more minerals and nutrients. A report made by the Agricultural Organization shows that organic food is much tastier than the conventional one. Organic apples, tomatoes or carrots are sweeter than the other ones. Unfortunately, this statement doesn’t apply to all organic foods. For example, a high level of antioxidants can make green vegetables taste different. All in all, organic food is a good alternative that each of us should consider. Farmers markets offer a lot of products and a unique experience of shopping that you cannot get from a huge supermarket. Keep that in mind next time you decide to go shopping. 1. You can inspect the quality of the product right on the spot by asking all the important questions to the farmer. Do not be shy to make sure that you are buying healthy grown foods that are good for you, as your health ultimately depends on what you eat. Remember, you are what you eat! 2. 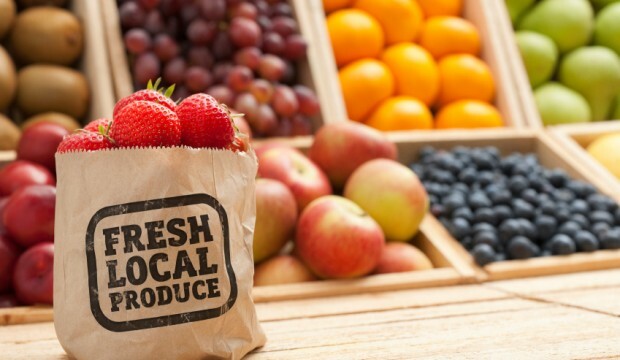 Buying on a local farmers market offers a unique experience of being able to smell and taste the food that you are buying, which is not possible to experience by shopping sealed and wrapped packages of fruit and vegetables offered in supermarkets. 3. By shopping food straight from the farmers you willmanage to avoid spending your moneyon the middle man.Also, you are being socially aware and supporting local producers financially, instead of buying imported foods . 4. Improve your overall health and your diet by buying locally grown products. When you shop on a farmers market instead of shopping in a supermarket you can avoid to buy all the unhealthy, fatty foods, just because they are on sale or mesmerizing you in a supermarket in their flashy, shiny, pretty packaging. 5. 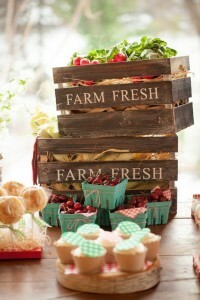 The market dictates the price, but by buying on a farmers market you are getting the best quality for the best price. You are buying foods that did not travel around the world to reach you and you are not paying for its transport. Simply put, you are buying quality foods that will enhance your physical health. 6. Buying food on a local market from local producers gives you a chance to befriend farmers and make sure that the food you buy is healthy. It also gives you a real experience to talk to people and socialize. Not only it is good for your physical health, but it is also good for your mental health. You are getting the chance to converse, make friends and get in touch with people. 7. Maybe the most important reason of all is that it will in fact help you to improve your diet, your overall health and make it easy for you to stay fit and healthy, if you choose to buy local foods that is healthy for you. It takes less effort to eat right when you shop smart.